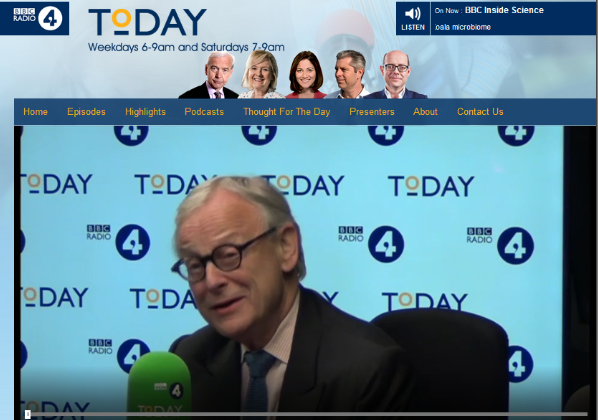 London, 12 October: Lord Deben, Chairman of the influential Committee on Climate Change (CCC) has been found guilty by the BBC Executive Complaints Unit of misleading listeners of the Today programme. The incident occurred on 28 June, when Deben was being interviewed by John Humphrys in advance of the CCC’s Progress Report to Parliament. During the segment, he claimed that the government was not allowing communities that wanted to build onshore wind farms to do so. Yet, the opposite is true: the Government has devolved the decision to approve onshore wind turbines to local councils. Wind developers know full well that their projects are very unpopular with local people. That, and the crucial consideration that there are no more subsidies available, accounts for the fact that there are only a very small number of onshore wind projects in the planning system at present. In its ruling, Dominic Groves, Deputy Head of the BBC’s Executive Complaints Unit, said Lord Deben’s claim “does not appear to be supported by the evidence”. Lord Deben also claimed that onshore wind power was the “cheapest form of producing electricity today”. This is false; the substantial network costs necessary to connect wind power to the national grid and manage its intermittency, make wind energy more expensive than gas even when the cost of carbon taxes are included. Responding to these false claims, Dr Benny Peiser, director of the Global Warming Policy Foundation (GWPF), wrote a letter of complaint to the BBC. Initially, the editors of the Today programme rejected the complaint. An appeal to the Executive Complaints Unit was successful and upheld the first part of his complaint, relating to a supposed government ban on onshore wind. The GWPF now plans to refer the second part of the complaint, relating to the cost of generating electricity, to media watchdog Ofcom.